What can express the sad waste, the horrors, the grim memories of war? Music can touch hearts that grieve, can console where words may struggle to do so. Yet bugle players may dread annual renditions of The Last Post. Nervous string players fear wobbly bows. Clarinetists advertise nerves by squeaking. What worse than shaky fingers right under trumpet players’ eyes? Read my Tips to Conquer the Shakes. Imagine the pressure of a solemn occasion, all ears and eyes targeting the lone bugle player. That, and cold, cost perfectionist Sargeant Keith Clark a note at the funeral for assassinated President John F. Kennedy yet that poignant fluff resonated with the nation. A BBC post informs how The Last Post (first published in the 1790s, one of dozens of bugle calls sounded daily in British Army camps) came to be associated with comrades who died. Arthur Lane was a bugler in the British Army who was captured by Japanese forces and worked on the Burma Railway. Dedicated to the victims of the Kosovo conflict, The Armed Man is a fitting work to commemorate the centenary of the ending of the First World War. With poignant text sung by a choir and soprano soloist, it is a seamless blend of ancient and modern. 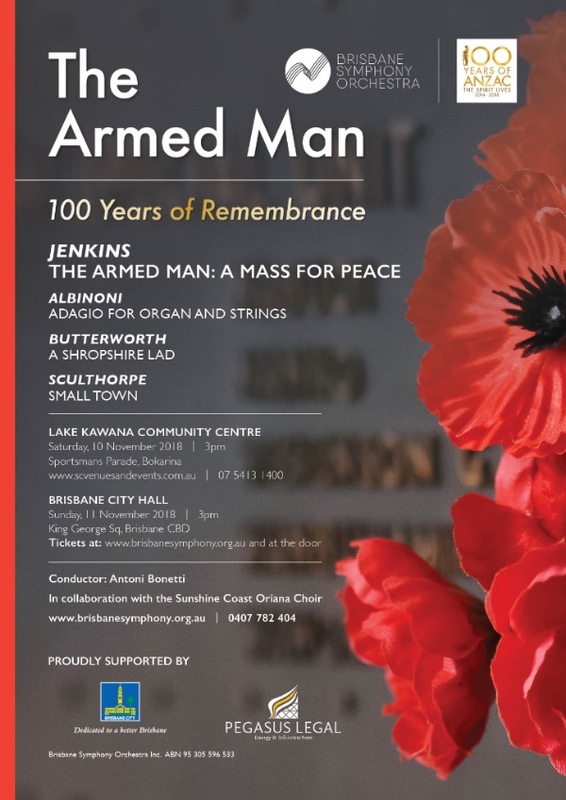 With BSO, I look forward to performing The Armed Man (a Mass for Peace). This was commissioned by the Royal Armouries Museum for the millennium. It draws on many sources, from the Catholic mass to the Hindu epic Mahabharata, and includes a traditional Muslim call to prayer. Composer Karl Jenkins quotes lines from the Japanese poet Sankichi Toge, who survived the bombing of Hiroshima, only to die of leukaemia in 1953. Its title derives from an ancient French song (“l’homme armé”). 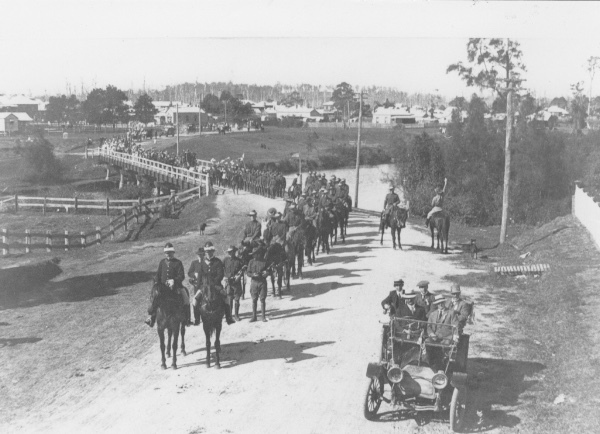 Hear Brisbane Symphony Orchestra players tell poignant stories of how war impacted on their families. 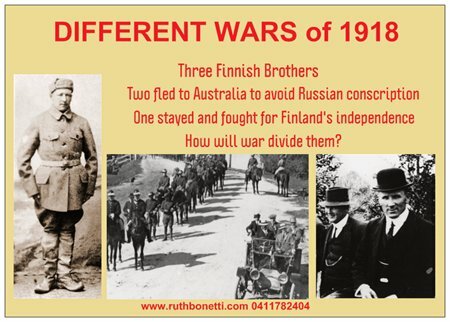 My father’s uncle Edvard Back fought for Finland’s Independence during the 1918 Civil War. 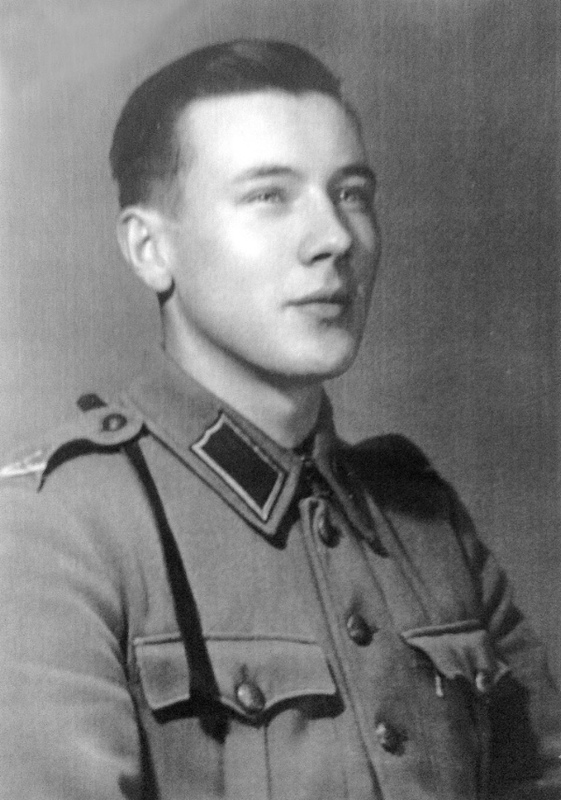 His son Rolf took 30 patrols across the Finnish border into Russia, on skis in camouflage white. He loved to sing us Russian songs he learned during that time, but his wife told me he often had nightmares about the Continuation War bloodshed. The Cellist of Sarajevo, A haunting novel based on a true story, shows how music can hearten and uplift spirits, even from the carnage, destruction and rubble. Sunset Ridge: An unusual hero is the war dog Roland, who followed his French twin masters to the front at Saint Omer, Ypres and Verdun, and who rescued many injured soldiers from battlefields. Or why not order them in at your local library? Queensland Youth Orchestra has for 50 years provided a springboard to propel young instrumentalists onto professional stages across the world. So has it grown that on Saturday 27 October, over 470 performers warm up backstage for their place in the spotlight of the gala Queensland Youth Orchestras Finale Concert. Their enthusiasm and excellence display the inspiring growth of this organisation in a half century. Remember the first time you were immersed in orchestral surround sound? My addiction began with Brahms Hungarian Dance in 1966 at Brisbane’s All Hallows school under the baton of John Curro AM, MBE. Early paths into the world music scene were forged by baton-brandishing “JC”, who fired his young musicians with enthusiasm, drive and vision. His irrefutable “Why not?” would persuade sponsors, politicians and reluctant Executive Boards to support mammoth goals. Franciscan priest ‘Father Fid’ Fidelis Stinson spread his vision, revving around on an instrument-laden scooter, his robes flapping behind. Father Fid played a pivotal role heading the committee of Queensland Secondary Schools Music Teachers’ Association to form a music festival orchestra of 94 players. Players and their parents demanded more. Some needed convincing an overseas tour was a feasible dream. Living through vision in action, this inspiring experience broadened my horizons and increased confidence. • Fundraising frenzies. Manoeuvres to launch an orchestral caravan into the air and onto buses. • Performing wind quintets in an Alitalia cockpit acoustic, rewarded with champagne. Alitalia Manager wrote that the captain was especially grateful for this impromptu recital. • A constant flux of celli, tuba and their owners across the plane. Frazzled crew resorted to feeding us to keep us in our seats. • Touring ancient catacombs, lit by wavering tiny lamps. • Shuffling in Italian phrase books to find pithy words to dodge Romeos and shysters. • A flight to Geneva then bus to Lausanne amid green hills and earthy fresh aromas. • A Babel hub of languages in the conference dining hall. We made short work of lettuce salads. Hunger pangs mid-morning after breakfast coffee and croissants. We were bussed out for a “real” breakfast of runny eggs the day of the performance. • Angst as our big performance neared. Would we be good enough? Insecurity flared into blind funk from the top down. Orchestral manager Michael Byrne nudged me to “say something” to a glum Maestro. • Onstage, Michael was applauded after setting up the four soloists’ chairs. I panicked, fearing my Mozart Sinfonia Concertante colleagues had gone on ahead of me. • Relief: resounding applause from audience and critics. We could enjoy our second concert in the courtyard of Rolle Chateau; a lake cruise to Chillon Chateau; a dramatic lakeside 1812 Overture. • Some visited the Alps. Those chosen to perform Berlioz’ Symphony Fantastique in the International Festival Orchestra rehearsed under Walter Susskind. Playing just one movement (the Eb clarinet witch solo), I went down-town shopping and misjudged a return bus. To ominous chords that precede this solo I ran to my seat just on cue, looking and sounding ultra-witch. • The dubious episode of QYO clothes at the top of a flagpole. Three players spent the night in jail for climbing up to souvenir flags. Swiss police didn’t see the joke. • Exploring Milan Cathedral while dodging ogling Italian gentry “practising” their English. Bargaining in Florence flea market; vistas of the Duomo seen through Henry Moore sculptures in the Forte di Belvedere gardens. • We lived it up–and down. Before our performance in Salo’s piazza of the fourteenth-century cathedral our five-course feast was lubricated with molto vino. Euphoria and accelerated tempi. “Stand up if you can” Il Maestro grunted at the final cadence of Tchaikovsky 5thSymphony. Did misunderstanding over the tab see us in tents near Monza for our next few days? • Thousands-strong audiences loved our performances at Bergamo, Pitti Palace in Florence, Sforza Castle in Milan, culminating with a memorable final performance in an exquisite theatre in Siena. We emerged to the Palio horse race through the city square, its electric atmosphere of flag waving and medieval costumes. Though one of the youngest orchestras to perform at Lausanne, we Queenslanders returned home boosted by international reputation, appreciated both as musicians and ambassadors. • “When and how can I return?” Why not? I did. For seven years. In the early decades of QYO, the players’ enthusiasm compensated for lack of experience. The meteoric rise of professionalism, finesse and standard humbles early alumni who felt privileged to play in the fledgling orchestra. This nevertheless trail blazed across the national scene. Back in the days when Sydney Youth Orchestra was just starting, when other cities managed tiny efforts, John Curro burst open the cultural cringe with a Queensland orchestra that defied condescension. My own teaching methods owe much to John’s vision and challenges. Especially that he stretched players and students to the edges of their seats. Could we achieve? Somehow we did. We may think our appreciation of teachers and mentors but do we express it? A sentence of thanks, a card or a tribute can uplift teachers who did not realise the impact of words they long forget speaking. While at university, John Curro, conductor of Queensland Youth Orchestra, sees that I need a challenge. The Copland concerto is virtuosic but also allows me to express the instrument’s singing tone and lyricism. There are altissimo register and jazzy syncopated rhythms to conquer. And John knows that I will enjoy exploiting its introvert and extrovert qualities. How I practise. Never have I worked so. I climb a technical Mount Everest; slay dragons of my weaknesses; my rhythmic vagaries are drilled into precision, altissimo register runs conquered. Day and night for a month I live, work, sleep and finally surmount the Copland Concerto. My performance with the Queensland Symphony Orchestra is already a triumph; there is no apprehension about winning—I did so already. This is my moment, charged with electricity. I shine, ecstatic. This glorious moment will never be repeated. My feet barely touch the ground as I walk through the City Hall foyer after. For many students, music lessons [rehearsals]are a source of rejuvenation in the desert patches of their lives. They can express pent–up emotions in a range of sounds. Those who have to live with critical parents or in dysfunctional homes look forward to interaction with a positive, creative and listening adult. Many will look back, decades later, and remember the words you spoke, the times you listened, and how your lessons changed their lives. You help them blossom in arid times. Your excellent work is valued! Wheels turn. Generations join the momentum. Many of the 7,000 Alumni see their own children and grandchildren dance to John Curro’s Pied Piper call of “Why not?” From Hameln in Germany in 1980 (when QYO was host orchestra for the International Festival of Youth Orchestras) to China, Japan, USA–indeed, the globe–they typify the unofficial QYO mantra of “Moto Perpetuo”. How many future talents will warm to that stirring question, that vision? Thank you, John for your legacy, life-changing influence and inspiration.